DAHLONEGA, Ga. – “It was incredible, spectacular.” That’s how Robb Nichols, the new Dahlonega-Lumpkin County Chamber of Commerce and Visitors Bureau president, described his first Gold Rush Days Festival. 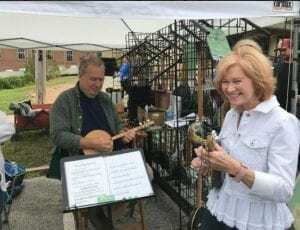 With an estimated two-day attendance of 200,000, Nichols said 4,473 made a quick stop the Visitor Center on Saturday and another 2,000-3,000 on Sunday. Also amazing, he said, was when he arrived for work at 5:45 a.m. Monday. “You would never know the event took place. The streets were immaculate,” he said. Nichols is no stranger to Lumpkin County. As a U.S. Army Ranger, he was once stationed at Camp Merrill. Young boy pans for gold as little brother awaits his turn. By all appearances, the 63rd annual festival, which celebrates of the discovery of gold in 1828, was a huge success. The streets were lined with arts and crafts vendors, food vendors and musicians for as far as the eye could see. 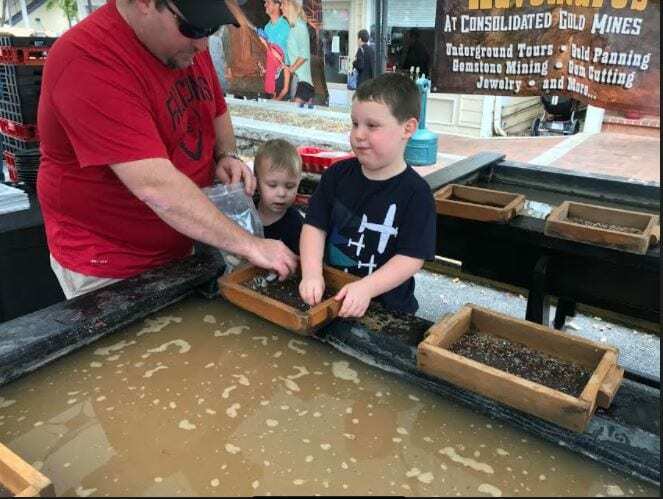 With national champion cloggers, gospel singers, mountain musicians, face painters and gold panners, there was something that was sure to please the young and old alike. These panjos, made from real cake or pie pans and reclaimed wood, make wonnderful music. Ever heard of a panjo? You’re not alone. The description doesn’t do justice to the beautiful music they make. Basically, a panjo looks like a mini banjo made from a real cake or pie pan and reclaimed wood. Coal Mountain Panjos was selling them for $30 at Gold Rush Days and all you had to do was listen to one for a few minutes and you wanted one. Enjoy clogging? 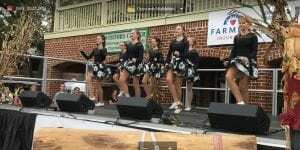 There was a group of national champion cloggers who performed that drew loud applause from the crowd. And many a kid had to try gold panning. Good times. 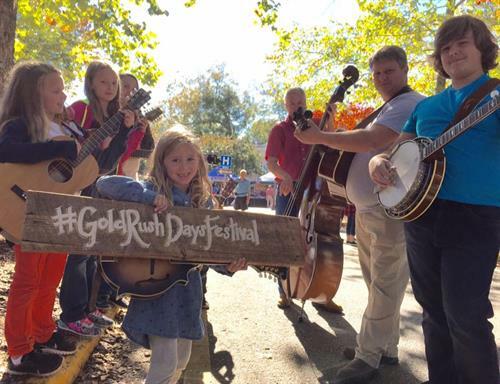 If you haven’t been to a Gold Rush Days Festival, you need to give it a try.